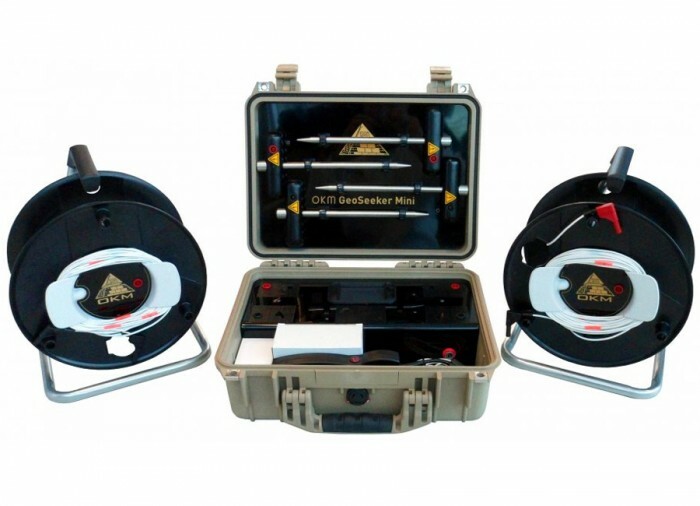 Like its big brother OKM GeoSeeker, the OKM GeoSeeker Mini utilizes a geoelectrical measurement procedure based on Schlumberger. 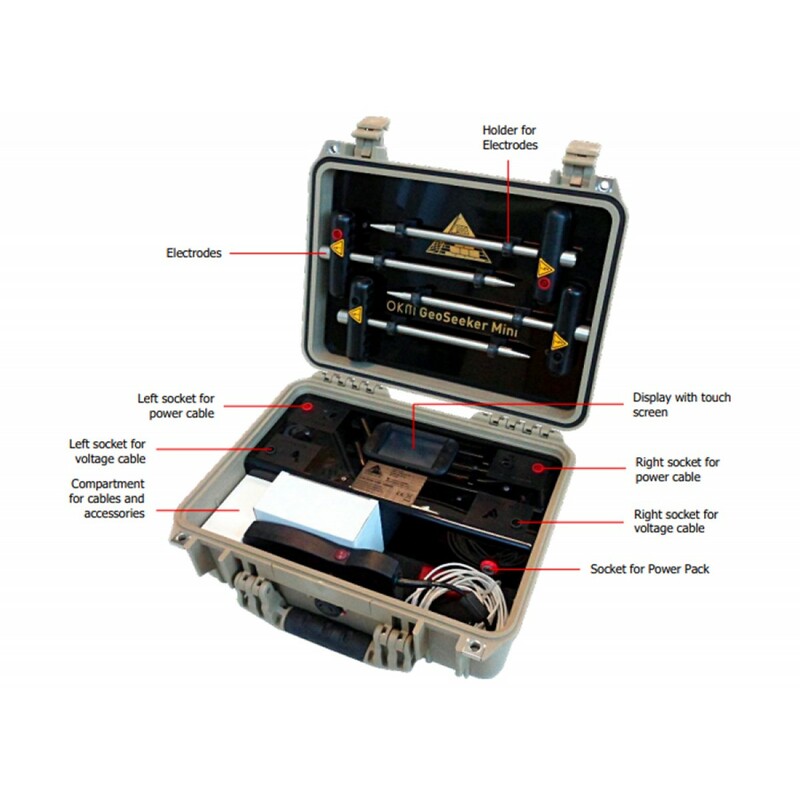 The water detector - that can also be used to detect underground cavities - determines the soil resistivity. 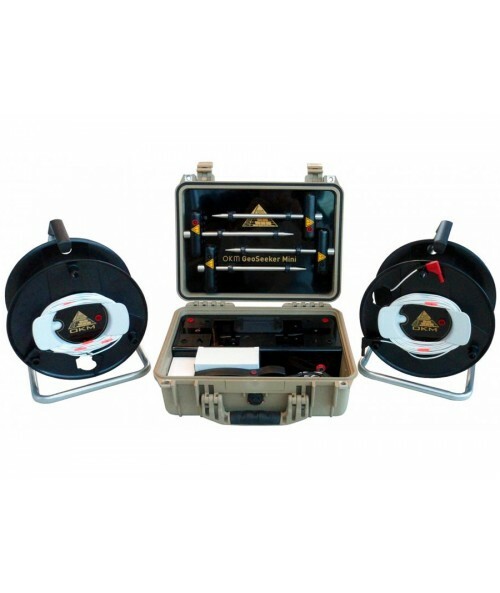 Based on that ground resistance the detector is able to detect underground water resources like fresh water, drinking water, water-bearing gravel and groundwater level. 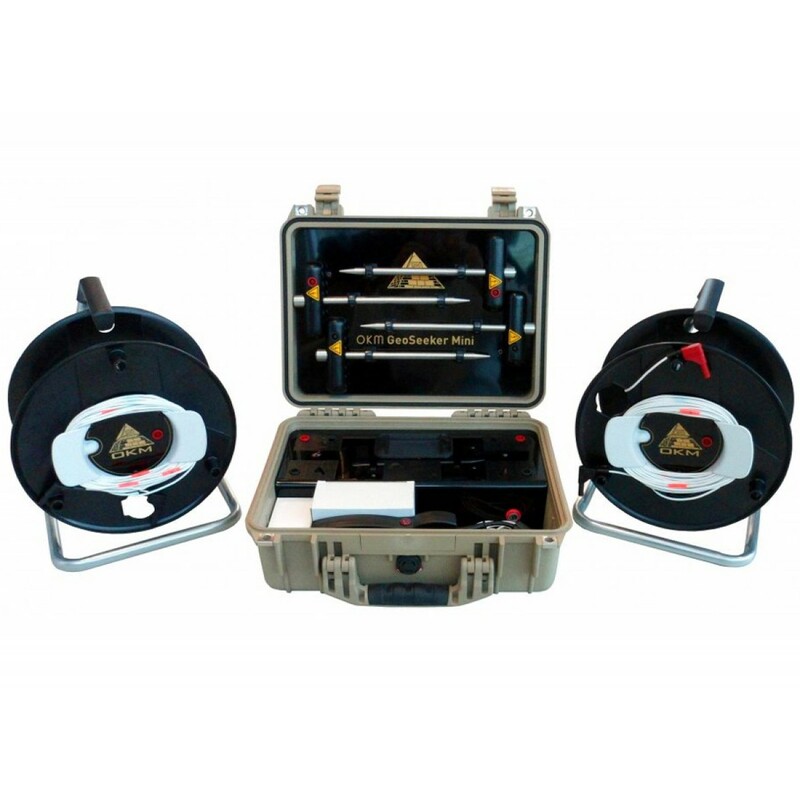 Due to the fact that underground water has a very good conductivity, you can conclude that very bad conductivity is a hint for hidden cavities like caves, tunnels, chambers and underground rooms. 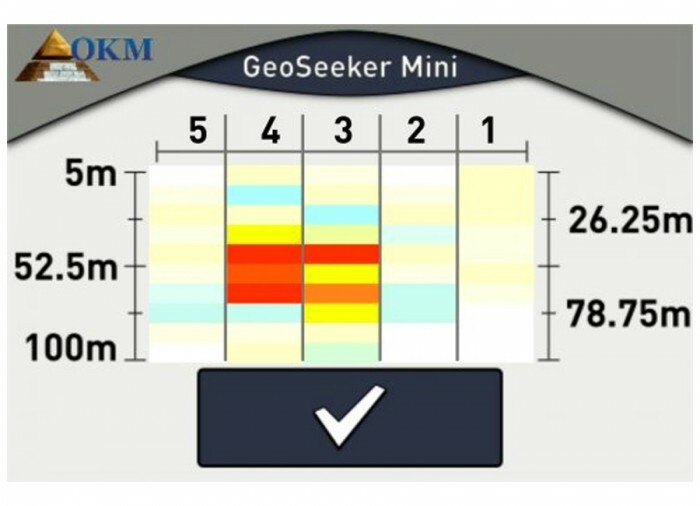 Thus the geophysical detector OKM GeoSeeker Mini can be deployed as water finder and cavity detector at the same time. 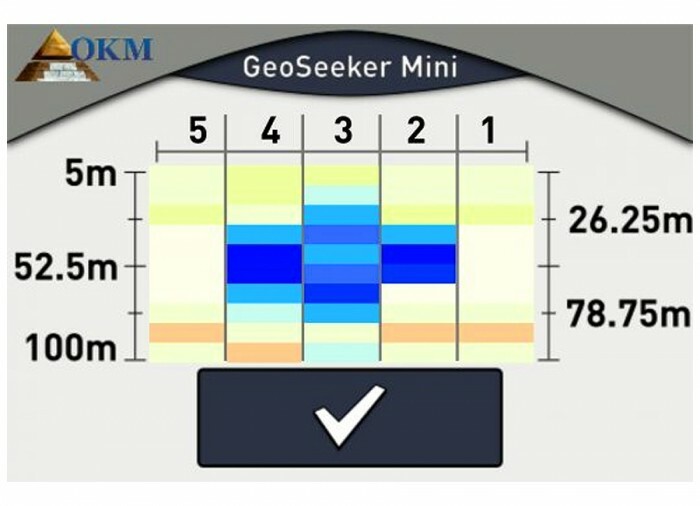 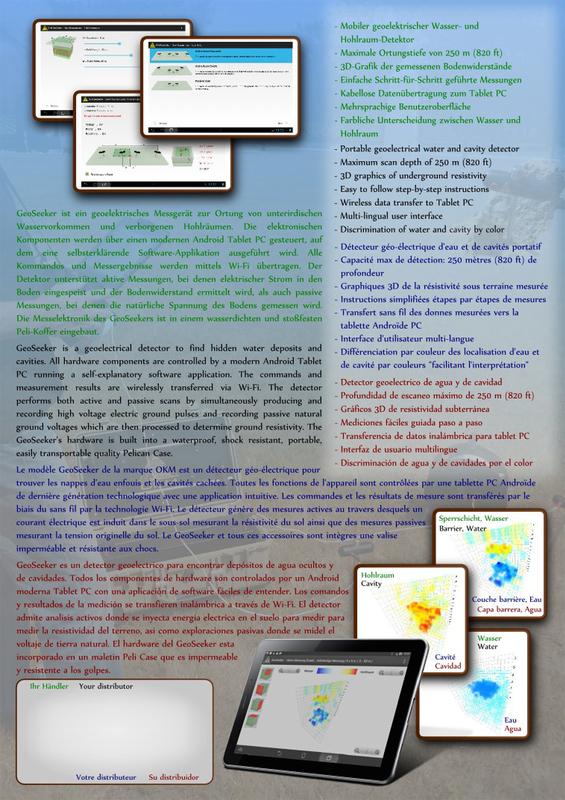 The water detector OKM GeoSeeker Mini is operated via touchscreen. 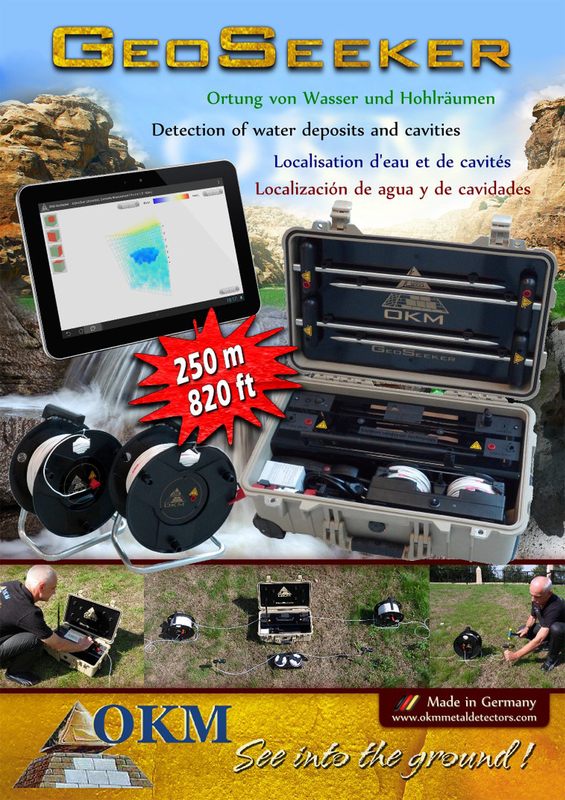 You will select the measurement depth as well as the amount of scanning points and simply follow the graphical instructions. 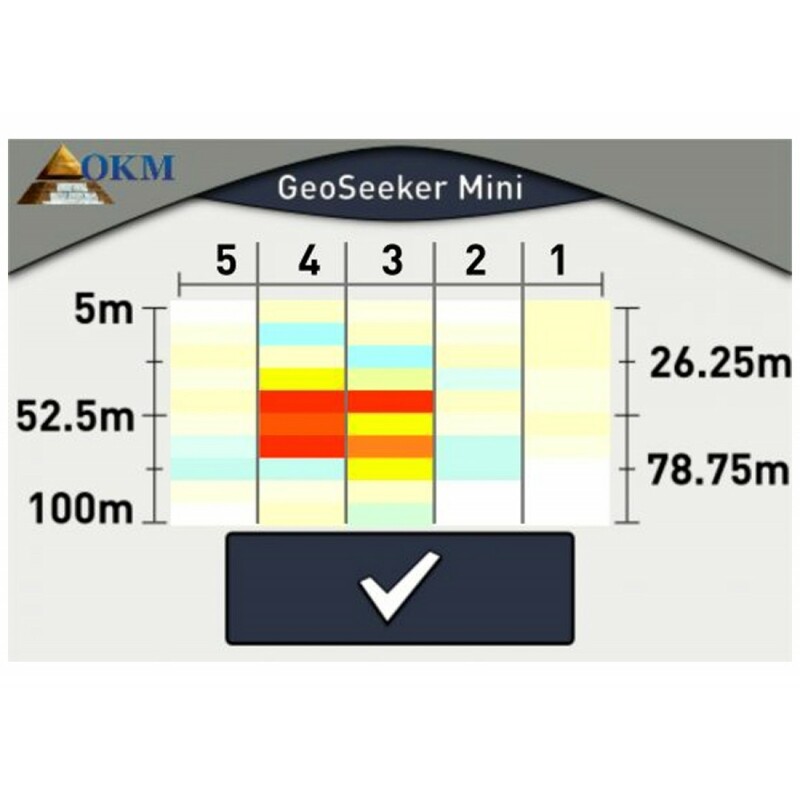 Due to the usage of easy to understand images and icons the OKM GeoSeeker Mini is multilingual by using pure picture language. 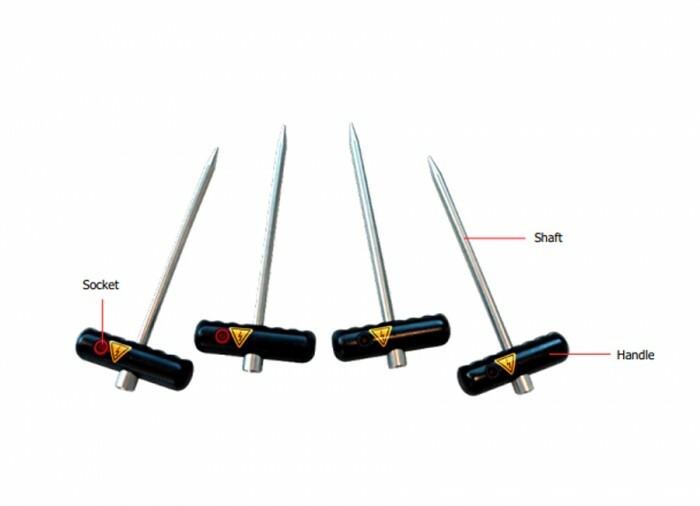 During the measurement the electrodes have to be replaced several times to measure the ground resistance at certain places. 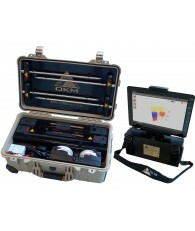 All instructions can be read from the color display, where the results are presented after each single scan. 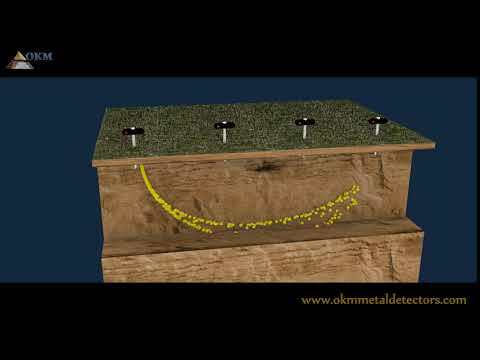 At the very end of a measurement the final result is shown as a graphical 2d scan image. 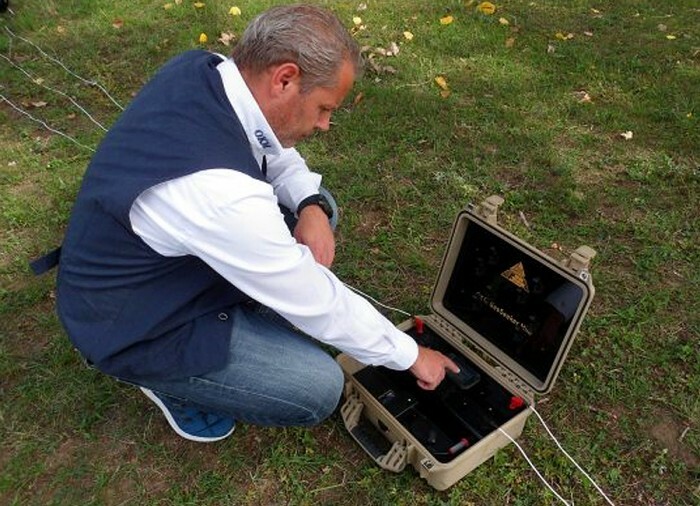 After finishing a geoelectrical measurement the final result is calculated according special formulas to generate a representative 2d scan image of the underground resistivity. 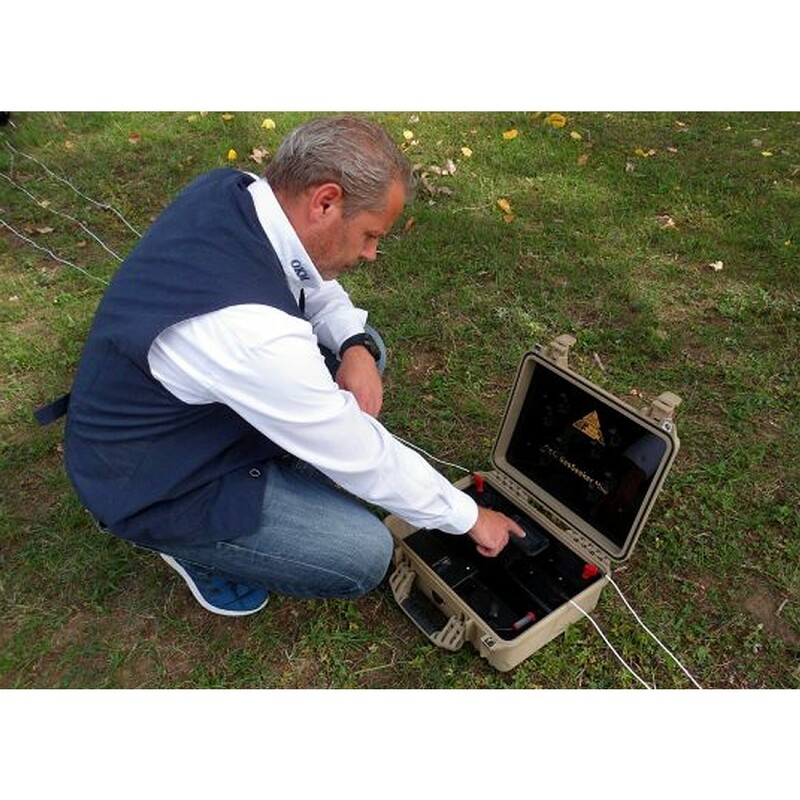 Depending on the selected depth penetration, you can detect underground water deposits and cavities up to maximum 100 meters (328 feet). 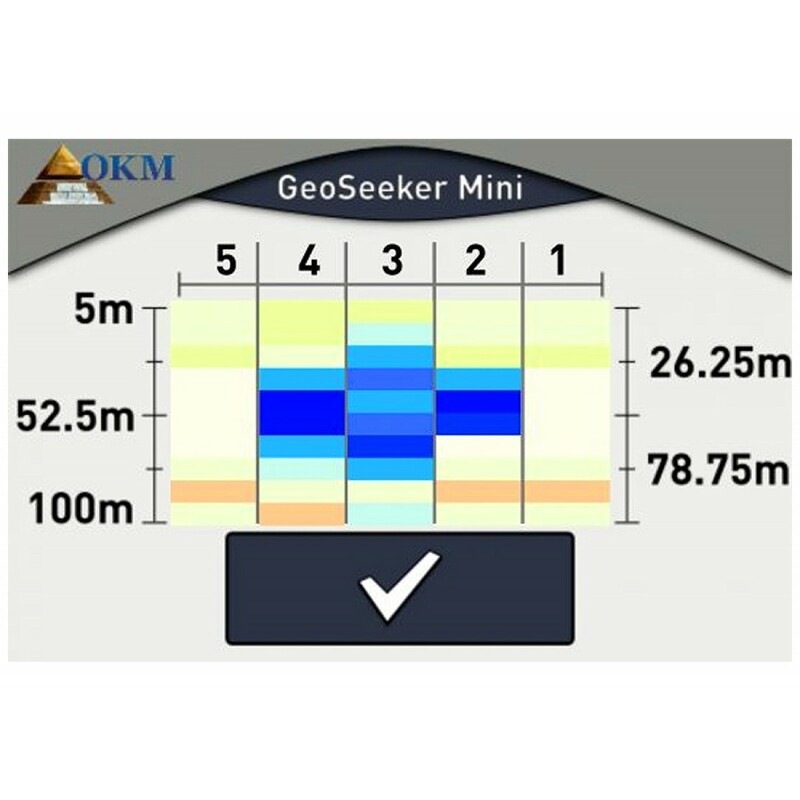 If you need a water detector that measures way deeper you should have a look at its bigger brother OKM GeoSeeker, that can measure up to 250 meters (820 feet). 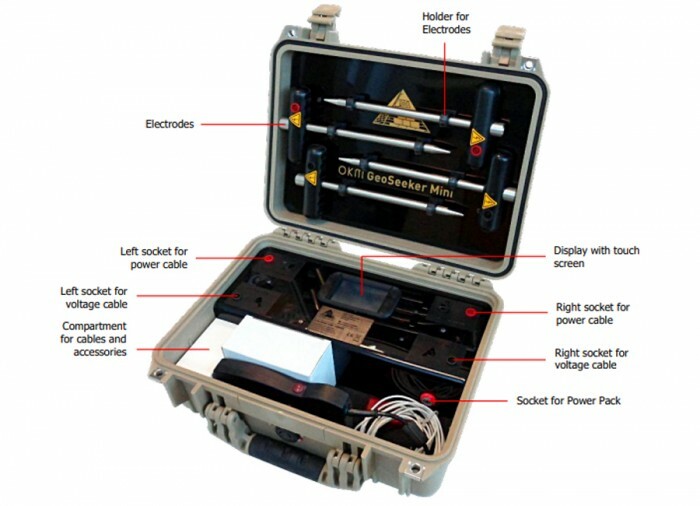 The geoelectrical detector OKM GeoSeeker Mini can be used to detect underground water resources as well as hidden cavities. 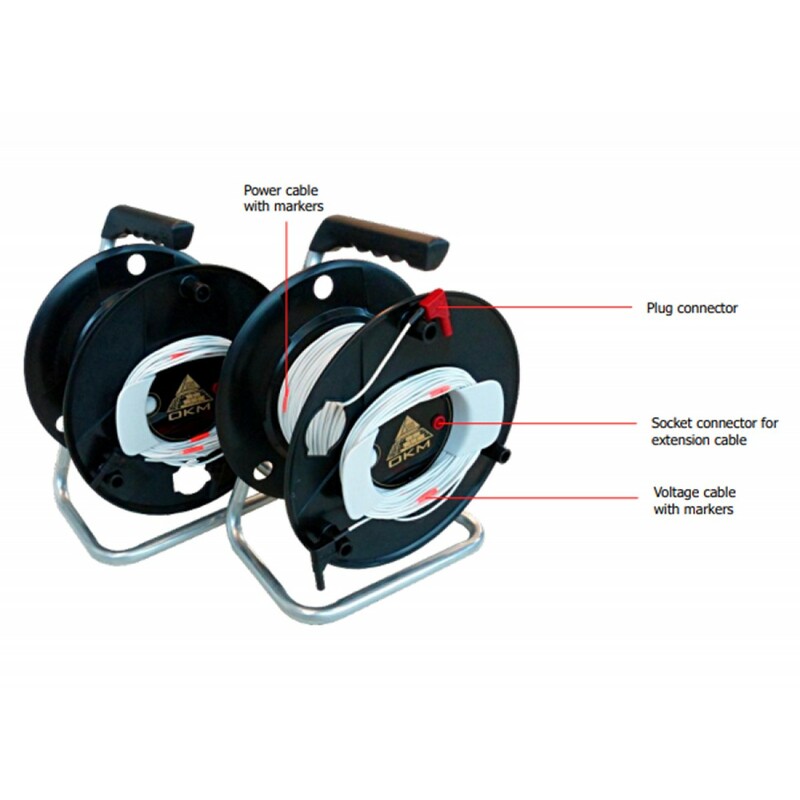 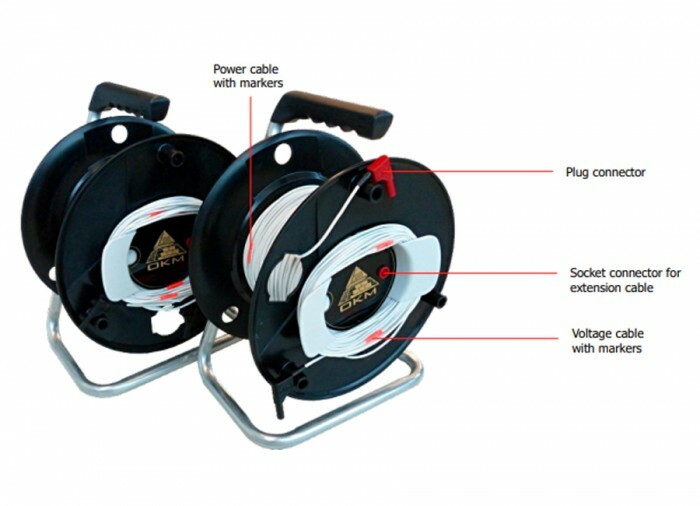 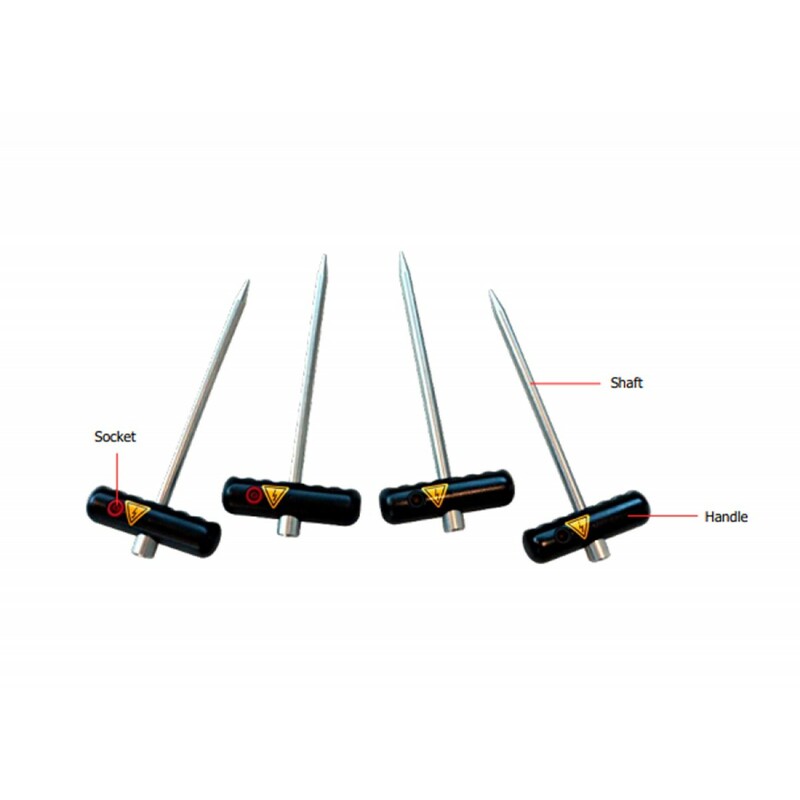 Both structures can be located due to its specific characteristics of electrical resistivity.